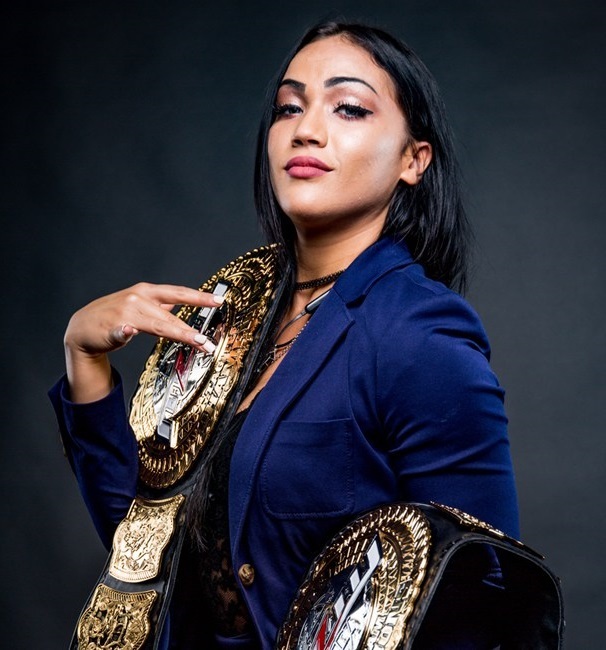 The empressaria of Promociones Dorado will make history as the first Latina to executive produce a professional wrestling network broadcast this spring when Salina de la Renta presents the May 4th episode of MLW FUSION. An accomplished promoter and powerful player in sports and entertainment in Latin America, Salina de la Renta is one of today’s most successful entrepreneurs… and she’s only 22. Salina de la Renta is connected with the biggest television networks, entertainers and athletes of Latin America. So, when MLW returned in 2017 and wanted to showcase lucha libre, they issued a promoting and managing license to Salina de la Renta. Simply put: if you want best of the best from Latin America, you go to Salina de la Renta who represents the best in Lucha Libre. Now, the league looks towards the ruthlessly ambitious de la Renta as the break barriers with a special edition of FUSION.